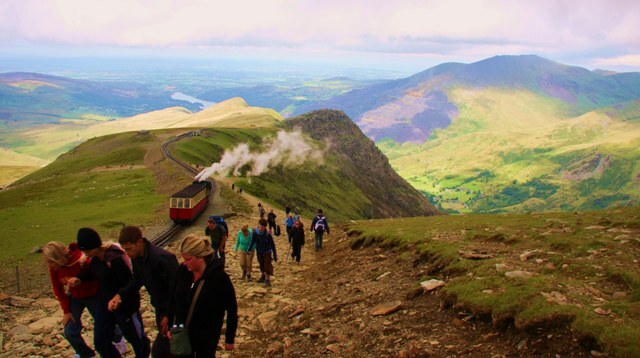 Hiked up Snowdon along the Llanberis pass tourist route in summer '09 with what seemed like half the population of GB. Had a feeling it would be busy but this was high street!. Between walkers and the cog train which also goes to the summit, the combined total of people on the mountain that day must have been in the thousands.